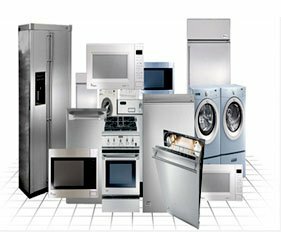 If you live in the Denver area and have an appliance that needs repair, then why not call Appliance Repair in Denver to fix it for you? We are proud to share our many years of expertise in the field, to perform diagnostics on your appliance, advise you on necessary repairs and provide you with an estimate for the repair. All of these services are provided as quickly as possible after your repair request has been received and processed. The repair itself is done as quickly and accurately as possible by one of our fine team of professional appliance technicians. We take great pride in the fact that customer satisfaction is important to us and we want to know that your experience with our company has been as pleasant as possible and that you would not hesitate to call us again for your next appliance repair. Your business is important to us and always will be. We are well known in the area for the quality of our Denver refrigerator repair, but we repair much more than just refrigerators. We also repair freezers,washers, dryers, ranges, microwaves and countertops. If you have an appliance that needs repair and you aren’t sure whether we work on that type of appliance or that particular brand, just give us a call. We will do the best we can to repair your appliance for you. Call us today and let our friendly and courteous staff get you scheduled for one of our highly skilled technicians to come to your home and take care of your appliance repair needs. A great deal of our business comes from recommendations from other customers and that is the very best advertisement we can think of. If you live in Denver or the surrounding area, please be sure to call our appliance repair service first, because…we are the best! Best Appliance Repair in Denver - We are here for you! Overall rating:	5 out of 5 based on 6 reviews.